Suntrip is back with more GoaTrance craziness! We are proud to present the debut album from E-Mantra, called Arcana. 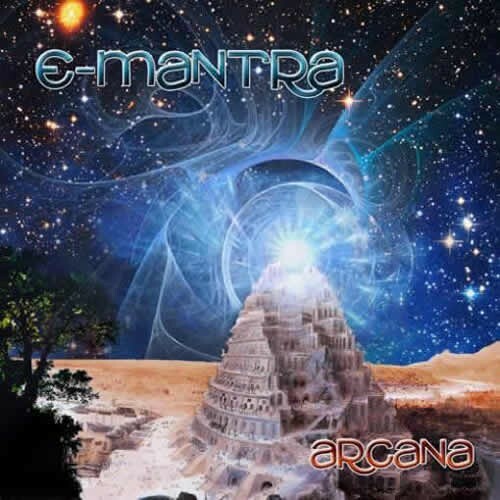 This album is a concentrate of twisted, acidic,spiraling and psychedelic madness mixed with fantastic melodies!E-Mantra, Emmanuel Carpus from Romania, proves that Goa-Trance opens new horizons even in 2009. Starting with Praying Forest, E-Mantra gives the tone; morning melodies, mixed with intense acid-storms for a great night-feeling! Shamanistic Rituals follows on these steps with a more tribal ambience including spacey fx and galactic loops punctuated by timeless breaks...With Last encounter and War of the Hierophants, weare facing no-compromise acidic Etnicaesque tracks full of transcendent,entangled patterns. Hold your breath!Approaching Nibiru is clearly more morning influenced and encompasses ethereal blissful melodies combined with a powerful drive. Following closely, Dansul Ielelor is a totally exhilarating track; a delicate blooming with a shot of adrenalin!Opus Iridium already showed Emanuels talent for ambient.Were fulfilled here again with two beautiful downtempo tracks; Ninive underthe Stars is a heartbreaking ode to the firmament with unique textures. Lastly, Beyond the Boreas unfolds its fractalized landscape in front of you.Arcana is more than just a GoaTrance album; its an initiatory passage to the fabrics of psychedelic music.